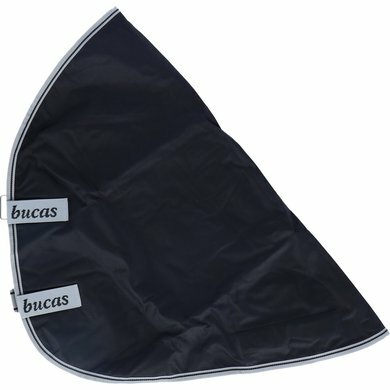 To make your Bucas Smartex blanket complete, there is also a Combi-Neck available separately which can be delivered to the blankets from the Smartex series via the combi-attach system. 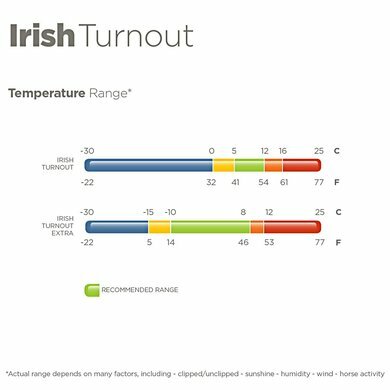 The neck features a very strong ballistic nylon outer fabric with a breathable and permanently waterproof outer layer, so your horse stays dry and warm at all times. The inner lining is made of smooth nylon. The neck is also very breathable with 4000 g / m2 24 hours. Fits very well with the rain blanket. The Velcro is very strong and the neck does not slide. nice sturdy neck, which can be firmly attached with good Velcro. Does what he has to do, fine neck. Find the sizes unclear, is not perfect with my horse. Size bigger was too big, this is just on the small side. 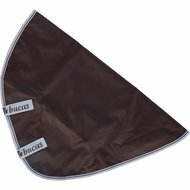 We use Bucas blankets for every season. 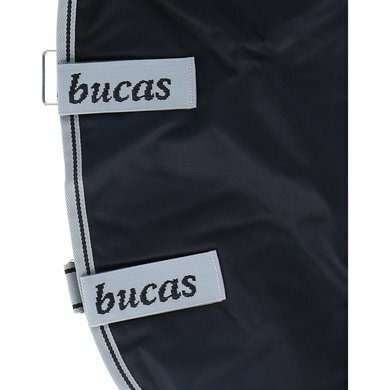 Since this year we also use the neck that belongs to the Bucas Smartex Extra. This prevents the neck from getting too much winter fur in relation to their body. Since we use Bucas blankets, the ponies do not have to be shaved. Very nice because we prevent them from becoming "fresh" because of the cold. Question: Hello- I do not know the size- what do you recommend with cover size 145 ?? Question: Do you also have the neck piece for the smartex black in 300 grams with stay dry lining? Answer: This neck has no 300 grams filling. 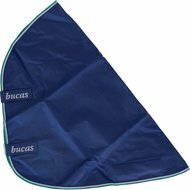 We do have loose necks for this neck blanket, however, it has a nylon lining. 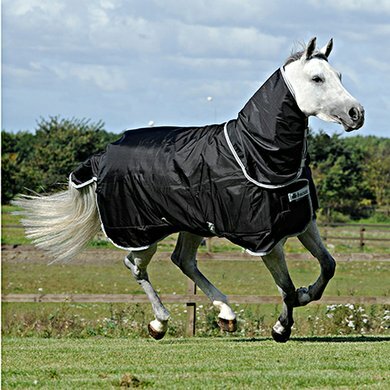 Question: Only bought a black Smartex blanket in the size 215 cm for a horse with a long (but not wide) neck. Which size of neck should I have? Answer: Given the size of the blanket and then also have a long neck, you will probably still need the size XL to cover the entire length of the neck. Answer: This is a neck piece. The neck piece is unlined. Question: if I take a smartex rain size 185 what size neck should I take? Answer: That depends on the construction of the horse. With a size of 185 cm, a size M or L is usually ordered. You can order both sizes and then see which neck part is best. The other neck part can be returned free of charge through our service. Question: I miss the normal sizes in this. I have no idea which oversize is an L or an XL. And I can not find back how many grams this blanket is. 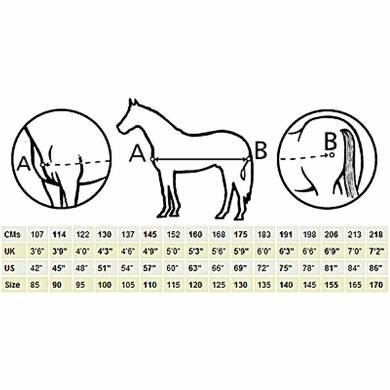 Question: What size should I have for my horse? Have you ordered a black bucas 145-195 blanket?